Pittsburgh is at the forefront of an international Maker Movement, inspiring individuals of all ages to create and innovate. Interested in joining this movement with your family? Kidsburgh’s here to help. According to a recent article in EdTech Digest, Pittsburgh has more than 100 maker spaces. 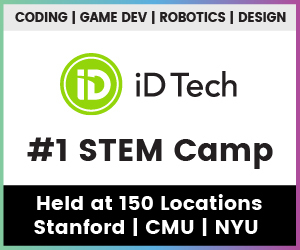 Many of them are outfitted with all the latest in high-tech 3-D printers, laser cutting tools, LED fixtures, circuitry design gadgets and more. And some are even family-friendly, offering kids and their caregivers the opportunity to experiment with these cutting-edge tools to make something new. If you’d like to visit a local maker space with your child, here are a few ideas for you. Assemble, a Garfield gallery and workshop space, aims to bring the Maker Movement to the general public. During the school year Assemble offers a free drop-in Saturday Crafternoon program, where children in grades 1 to 6 work with local makers and community partners to create age-appropriate STEAM-based projects. Saturday Crafternoons run 1 to 4 p.m. on Saturdays. Assemble also offers an after-school program, summer camps and an open house during the monthly Unblurred gallery crawl. 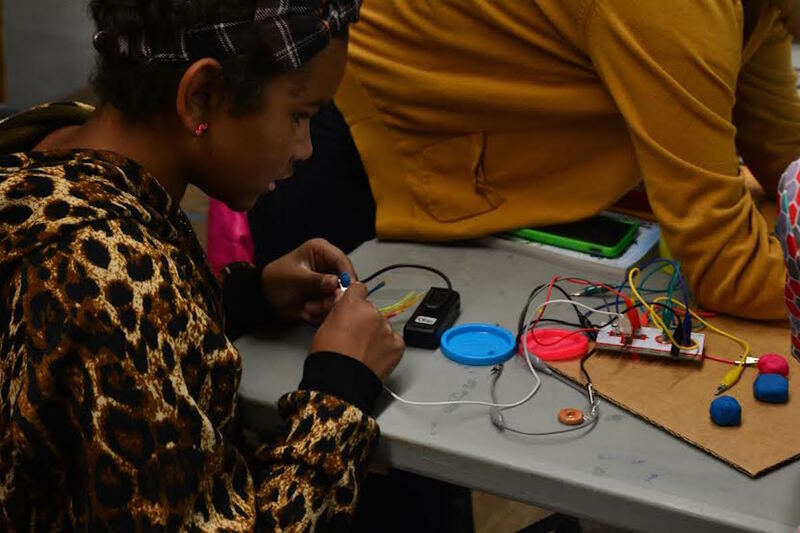 The MAKESHOP at the Children’s Museum of Pittsburgh is another innovative maker space, where kids and their caregivers can explore circuitry, wood-working, sewing, stop-motion animation and more. 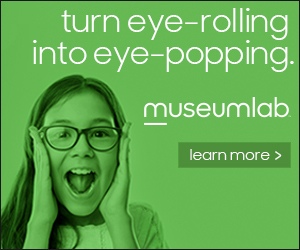 Also, check out the Museum’s event calendar to find special events in the space including Youth Maker evenings for children ages 10+ and MAKEnights for grownups too! The Carnegie Science Center recently unveiled its new Fab Lab, a digital fabrication laboratory that is slated to open to the public in late September. This space has 3D printers, laser cutters, robotics equipment, circuitry and more. This maker space joins an international network of more than 500 Fab Labs, but is the first to incorporate a mobile unit that will begin visiting regional schools and communities this fall. TechShop, the Pittsburgh Center for Creative Reuse, the Labs @ CLP also offer maker programming for young people. Finally, don’t miss the annual Pittsburgh Maker Faire, coming to Buhl Community Park from October 10-11, 2015. This event showcases Pittsburgh makers of many types–from textiles artists and roboticists to biologists and puppeteers. There will also be a variety of hands-on workshops, including some that are appropriate for children. Interested in learning more about the Maker Movement in Pittsburgh? Check out this recent article in the Pittsburgh Post-Gazette. 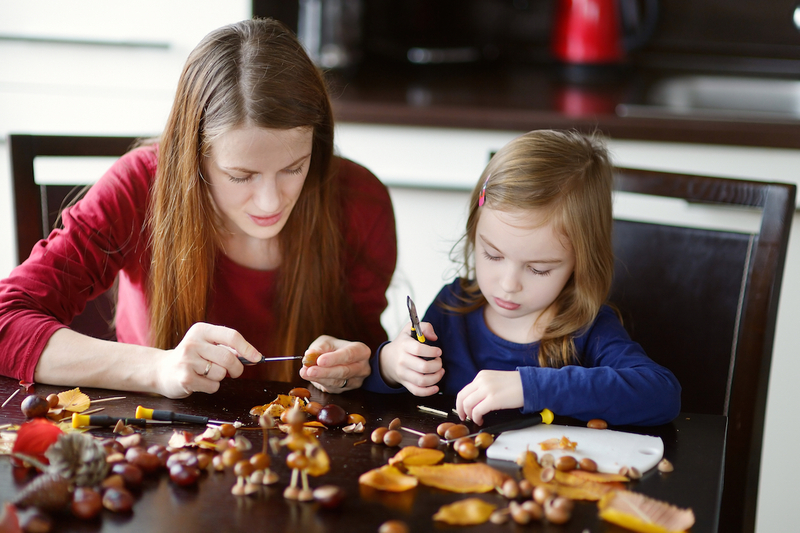 It may be difficult for busy families to visit local maker spaces regularly. But with a little ingenuity and some basic tools, making is affordable and easy to do right in your home and on your own time. There are plenty of DIY projects that kids can start making right away, such as designing a zip line for their stuffed animals, creating their own clay or crafting a pretend submarine or marble roller coaster out of duct tape and cardboard. 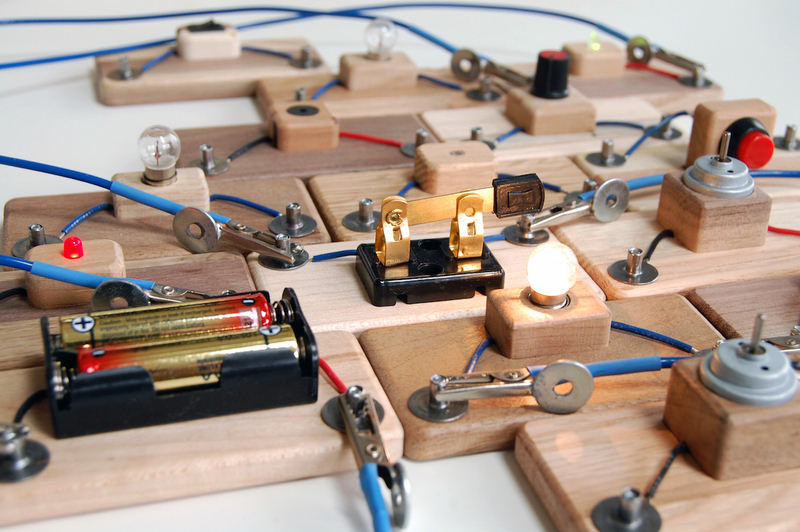 Also, the MAKESHOP has its own blog, offering inspiration for DIY maker projects. If DIY isn’t your forte, there are also some maker toys on the market to inspire budding inventors. These are just a few of dozens available, but they all meet the essential Maker Movement criteria: to make, give, learn and tool up. For kids who want to build: Roominate chalets, estates and studio apartments are not your grandma’s dollhouses. Time Magazine’s 2014 Toy of the Year is a line of build-it-yourself structures that allow kids to construct, and even wire, their very own toy homes, restaurants or stores. Modular furniture and motorized circuitry give kids a chance to explore the basics of engineering and architecture while bolstering their imaginations. Little builders decide how to piece together walls and furniture parts to create unique designs. Then, they can deconstruct and start all over again to try something new. The process fosters spatial skills, hands-on problem-solving and confidence with technology, all essential maker movement concepts. As an added bonus, your child can showcase the final product by sending Roominate a photo to be featured on their website. For nature-loving artisans: Cyanotype paper and fabric is an old engineering tool with a 21st–century twist. Kids can set out on a nature walk to collect found objects. When these objects are placed onto the photosensitive Cyanotype and baked in sunlight, beautiful silhouettes are forever emblazoned in a rich Prussian blue. Further tinkering–spritzing with a detergent solution or soaking in a bath of tea, for instance–changes its color to a peaceful yellow or nostalgic sepia tone. The endless opportunities for experimentation make this a true maker activity. And with plenty of room for imagination, kids can take this craft to the next level by creating greeting cards or a set of napkins for a nice holiday gift. For the robot lover: TinkerBots by Kinematics, winner of the 2014 CeBIT Innovation Award, lets kids invent robots without having to learn wiring or programming. By simply snapping together kinetic modules, passive pieces and even Legos®, kids can create an infinite combination of robotic race cars, construction vehicles, dogs, spiders and more. Once built, kids can control how their TinkerBots move via a playback recording, or they can use an app on their tablet or smartphone as a remote control. The best part of this toy is that it welcomes collaboration, a basic pillar of the Maker Movement philosophy. For future engineers: Circuit Blocks, invented by the Children’s Innovation Project (CIP) right here in Pittsburgh, answer the question, “What do you DO to make that HAPPEN?” With switches, toggles, photo cells, buzzers, wires and motors, these contraptions teach kids basic circuitry. Easy for small hands to hold and fascinating for hours, Circuit Blocks are perfect for kids who love taking things apart and putting them back together again. The concept flows from the principles of prediction, testing, reflection and revision, giving kids plenty of room for error and inspiring them to try another method. And while little engineers are learning complex concepts, parents can rest easy knowing that Circuit Blocks were sustainably harvested from Pennsylvania hardwoods, and that each purchase helps fund public school projects where CIP operates. For gamers and programmers: Puzzlets, by Digital Dream Labs, was also invented in Pittsburgh. First, kids need the Puzzlets electronic puzzle tray that connects to any computer or tablet. Then, they can download the video game, Cork the Volcano, for free. The goal is to help a dinosaur, a hedgehog and a sloth seal an erupting volcano. With careful planning, experimentation and strategy, players lay the digital puzzle blocks into the tray to control whether the characters jump, fly, run or turn left or right. Through sequencing, programming and collaboration, kids create endless game combinations in order to reach the next level. The process encourages kids to try different solutions to see what works, one of the Maker Movement’s main goals. Since this game is currently still undergoing product testing, S.W. Randall is the only place in Pittsburgh to get your prototype puzzle tray. Puzzlets engineers are busy adding all the final touches–and accepting your input–to make it widely available this September. 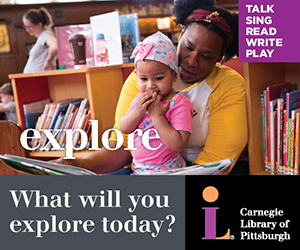 Janeen is a storyteller in Pittsburgh, PA, who loves to write about people doing what they love and how they overcome life's big challenges. When she's not chasing around her 'Irish twins' or jogging in circles at Highland Park, you'll find her in a sunny corner of Bloomfield writing fiction and nonfiction.